Editors have revealed the video for new single Honesty. 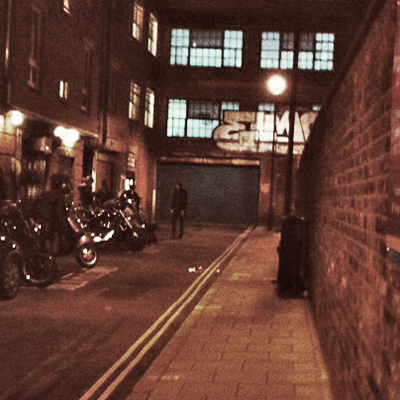 Set on the late night streets of Soho - and Radio X got to go along to the shoot. Passers-by either gawp or ignore this typical Friday night scene on Great Windmill Street. A group of lads look on, enjoying the sight of girls who just wanna have fun. Then they spot a group of people with a large camera. "They must be filming a reality TV show," one of them says, before they scarper off into the night. But it's not. One of the passers-by happens to be the tall, dark figure of Tom Smith, and this is a shoot for the video to accompany the new single by Editors. "I've just realised exactly what I've let myself in for," Tom tells Radio X. As the action is taking place around Soho and Shaftesbury Avenue, Radio X has forsaken the usual Friday night pint, nipped out of Radio X Towers and headed over to see what's happening. Tom started work in Golden Square at 7pm and isn't due to finish until 5am. The rest of the band aren't due to appear for several hours. The visuals to the song - which we now know is Honesty - feature Tom as a wraith-like figure, making his way through the dark and seedy night. "It's all shot from my point of view," Tom says, "and I kind of encounter all these 'undesirables' along the way." The "undesirables" include the hen party, a young streetwise girl and a scary-looking vagrant. Tom confesses that the band never have ideas for their videos: they always put themselves in the hands of the director. In this case, it's Chris Turner, who leads the singer through many takes and the always-difficult process of singing and acting in slow motion. Their last video, Formaldehyde, was shot by Ben Wheatley, the acclaimed director of Kill List and A Field In England. The clip channeled the spirit of the 1966 Italian Western Django, which featured a cowboy outlaw dragging his coffin from town to town.